Rostina Chikopela-Mushoriwa, age 39, passed away peacefully with her family at her bedside on Monday, August 13, 2018 at the Pasqua Hospital in Regina, SK. 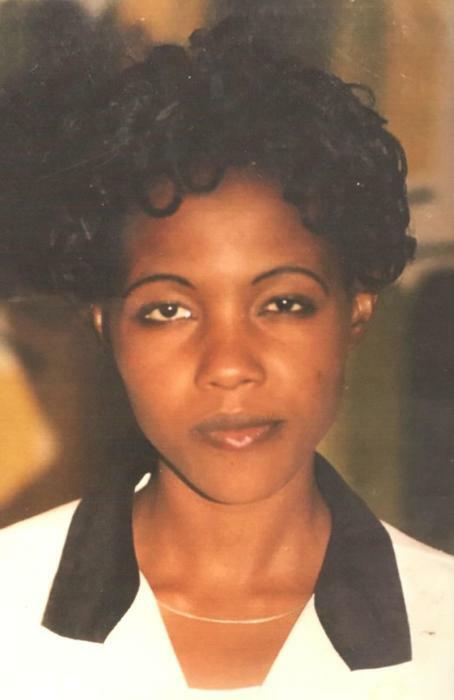 Rostina was born in Kululushi, Zambia to Major Alfonso George Chikopela & Joan Mukandawire. She always had a passion to help people and enrolled into nursing after her high school graduation in Zambia. In 2003, Rostina moved to Gaborone, Botswana where she met the love of her life — Lamuel Mushoriwa. Lamuel & Rostina were married in September 2004 and had their wedding celebration on December 26, 2004 in Harare, Zimbabwe. In 2006, Rostina moved to Canada to study for her nursing registration exam. While she was still in Regina, she was blessed with their daughter, Mapalo, in June 2006. Lamuel & Rostina are forever thankful to Henry & Mary Mutafya, who looked after Rostina and Mapalo during their time there. They then moved to Swift Current, SK and stayed with Henry & Kendra Klassen, who looked after them for half a year. Rostina and Mapalo returned briefly to Botswana to join Lamuel before moving back to Canada as a family — they settled in Swift Current in August 2007. They have been part of Victory Family Church since then and have made many new friends. Lamuel & Rostina were very excited to participate in the citizenship process — on December 12, 2014 they proudly became Canadian citizens, joining Mapalo, who beat them to it. Rostina was not a sports fan but being married to Lamuel and a loving mother to Mapalo, she became a very good and enthusiastic soccer mom. She enjoyed watching Mapalo play soccer and recently enjoyed a trip to Minneapolis, Minnesota for Mapalo’s first international soccer tournament. Rostina loved to go with Lamuel and Mapalo for visits with her African family and friends in Regina, Saskatoon, SK, Calgary, AB, and also back to Africa. Rostina worked as a Registered Nurse with the Cypress Health Region in Swift Current and Herbert, SK since 2007. She had a passion for education and advanced her education, finishing her master’s degree in nursing through Athabasca University. Rostina last worked as a Nurse Practitioner at Maple Creek Hospital in Maple Creek, SK. Lamuel is thankful to the heroic professionalism of Dr. Alexandra Akinfiresoye, Dr. Lubega, and the medical team at the Cypress Regional Hospital who attended to Rostina. Rostina is survived by her husband, Lamuel Mushoriwa; her daughter, Mapalo Mushoriwa; her father, Major Alfonso George Chikopela (Zambia); her mother, Joan Mukandawire (Malawi); her sisters, Mtandazo, Rose, and Charity in Zambia; her sisters, Eva and Khetas in Malawi; her brothers in Malawi; her aunts and uncles in Zambia; her in-laws in Zimbabwe, her mother-in-law and best friend, Godfrey, Robert, Priscillah, Pascalia, Existo, Exaverio, Patrick, and Patricia; and by her cousins, Rufaro, Lydia, Tanaka, Tasha, Kuda, Nicole, Loretta, and Tawana in Canada. The Funeral Service for Rostina Chikopela-Mushoriwa was held on Saturday, August 18, 2018 at 1:00 pm from Victory Family Church, Swift Current, SK with Pastor Lorne Davis and Pastor Dan Nichol officiating. “My Rock,” “Rest of God,” “The Tower,” and “Amazing Grace” were sung by the congregation under the leadership of Liz Rackow. Tributes were given by Henry & Kendra Klassen, Lori Plewis, Annette Kern, Colin Nyabadza, Alice Siwela, and Rufaro Mucheri on behalf of Lamuel Mushoriwa. The obituary was given by Henry Mutafya. The Interment Service was held from Hillcrest Cemetery, Swift Current, SK with Dale Kern, Geofrey Williams, Collin Nyabadza, Jizinge Mwela, Martin Munga, Oliver Mpundu, Ngala Odiyo, and Allan Siwela serving as Pallbearers. In memory of Rostina Chikopela-Mushoriwa, donations made to assist with funeral costs would be appreciated by the family.